System Icon – Hardware, Device Manager, View, Show Hidden Devices. DNS (Select the Server Object), View, Advanced. Active Directory Users and Computer – View, Advanced Features. a) You get an extra tab called ‘Object’. This is one of the best ways of discovering which OU a user is a member of. b) What this shows you is the ‘Lost and Found’ folder for orphaned users. c) If you have Exchange 2000, this ‘Advanced Features’ also shows you one more tab on the user properties: Exchange Advanced. Talking of Exchange, I also have a Registry Hack so that you can add the Security Tab in the Exchange System Manager. Global Catalog: AD Sites, Default-First-N…, Servers, (Name), NTDS, Properties, Global Catalog. DHCP Proxy: Routing and RAS, Server, IP Routing, General, right-click, New Routing Protocol. Users connected to a server: Computer Management, System Tools, Shared Folders, Sessions. 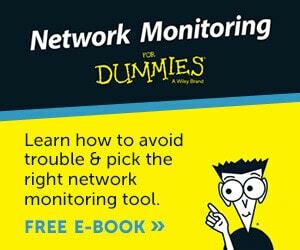 Network Monitor and SMTP Protocol, Add Remove Programs, Add Remove Windows Components, Management and Monitoring Tools. In Active Directory Users and Computers, select View (menu) and Add/Remove Columns… Experiment with different columns such as Display Name.